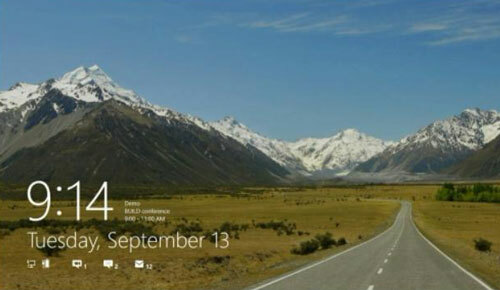 Microsoft has removed the “Start” menu button from its upcoming Windows 8 operating system, according to a consumer preview released earlier this week. The Start button. which made its debut in the Windows 95 version of the operating system, sits on the far left side of the “Live Bar” (see screenshot). The Start button was one of the primary methods used for people to navigate to computer settings, applications, stored files and more. The leaked screenshot, obtained by PCbeta , reveals that Microsoft has removed the button. This was probably done as part of Microsoft’s Metro-style UI effort to make the user interface more intuitive across multiple devices. Though the Start button may be gone, the button’s core functionality will be retained using a “hot corner”, according to a report from The Verge . The hot corner, which you activate by either touching or mousing over one of the screen’s four corners, will supposedly activate a start-style menu screen when the operating system is both desktop and Metro UI mode.